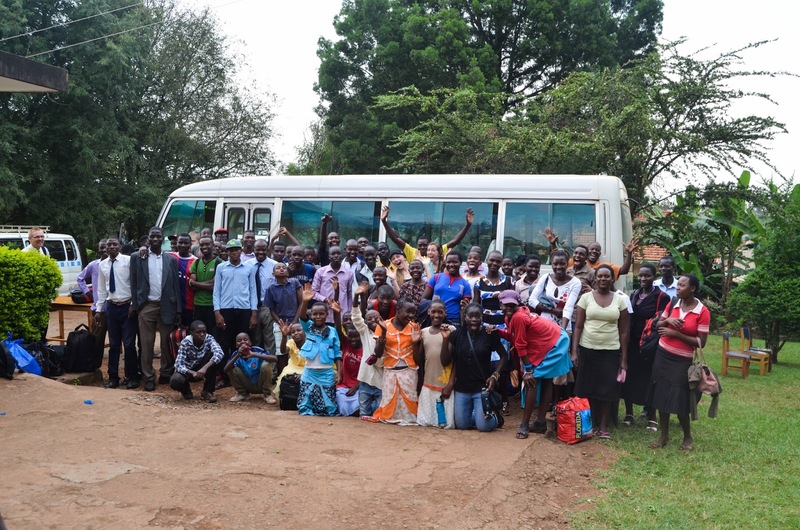 The youth (ages 12-30) of the Orthodox Presbyterian Churches of Uganda are heading out today for a week long conference. 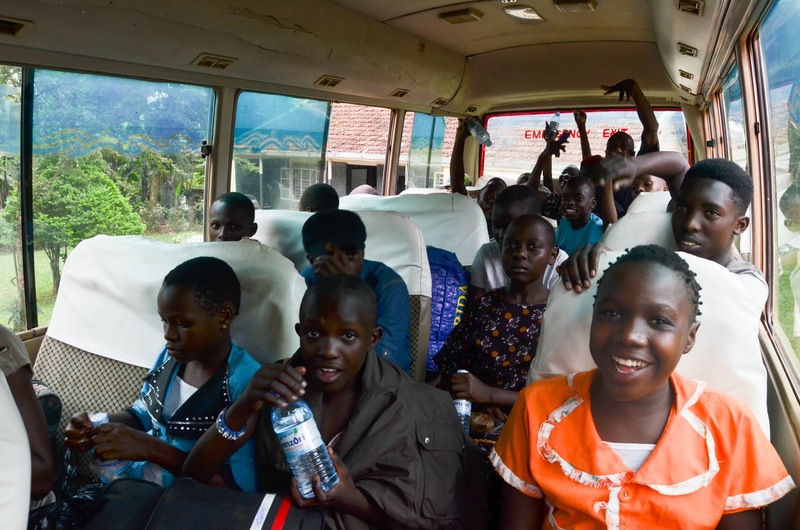 We had about 70 youth in all who are joining with youth from Kampala and traveling to Kapchorwa for a week of teaching, singing and activities. Everyone gathered on our compound today to head out. So fun! Waiting in line to get on the bus and get lunch of a rolex and a bottle of water. Katelyn waiting with her friends. 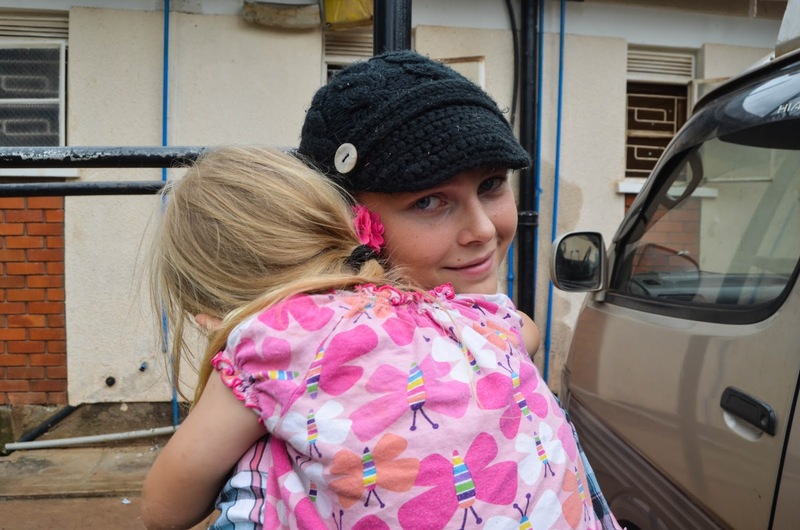 But big sissy's going is pretty tough on the younger members of the family! Prayers appreciated for this great group of kids...that they will have hearts and minds open to the teaching, that they will be safe and have a great time together! You can also pray for Eric and Charles Jackson as they will be doing some of the teaching.